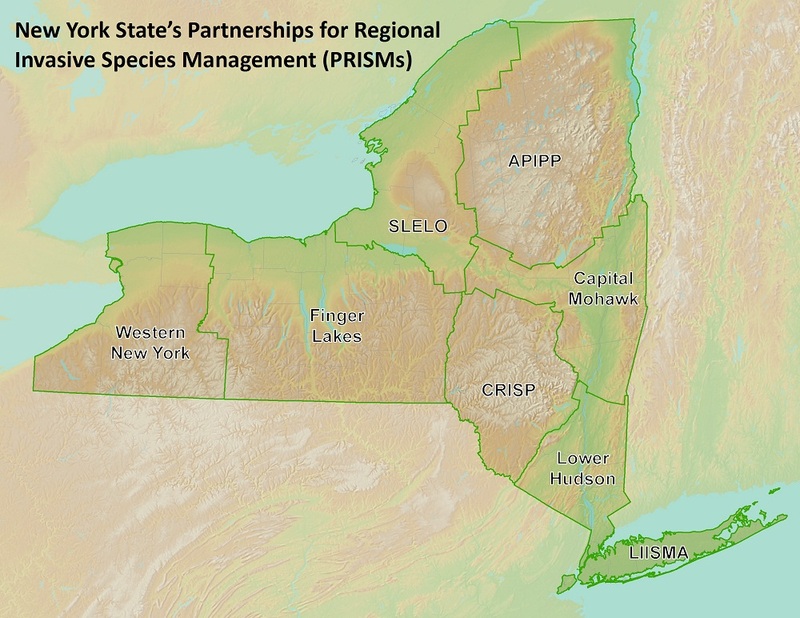 The WNY PRISM Mission is to proactively identify, evaluate, and address invasive species priorities in western New York using a coordinated partnership of local professionals, organizations, and private citizens to improve, restore, and protect local aquatic and terrestrial resources. Collect and share information regarding invasive species issues and management to improve efficacy of regional efforts. Increase public, partner, and stakeholder awareness and understanding of invasive species issues and management with the purpose of impacting positive change and action. Facilitate the prevention of new occurrence, spread, and further establishment of invasive species within the WNY PRISM region through understanding of pathways of invasion and targeting of priority conservation areas. Assist regional partners with development and implementation of effective early detection, assessment, and rapid response protocols. Assist partners with control of invasive species, establish long-term monitoring, management plans, and restore impacted sites.